This is a very exciting announcement or me! I am now a published author. My first book was released last month. It is a work that I co-wrote with author, Daphne Tarango, and 8 other inspirational writers. I am very excited about this project because it will help inspire so many who are suffering with mental illnesses. Published: December 1, 2014 in Paperback. You're one of the millions of people who struggle with mental illness. You struggle in silence, hoping to avoid stares, whispers, and prejudice. But society’s judgment has also become your inner voice. Guilt, shame, and low self-worth have entrenched themselves in your mind and heart like old grooves of sun-hardened soil. These false beliefs need loosening, turning, tilling, and ploughing until the old grooves give way to new grooves of God’s Truth. 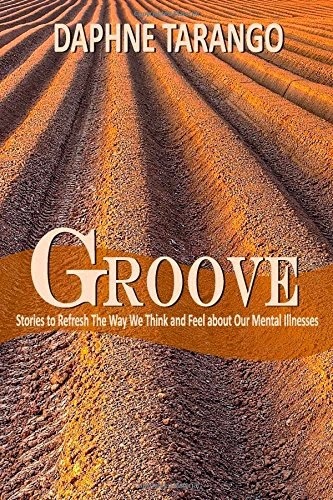 In Groove: Stories to Refresh the Way We Think and Feel about Our Mental Illnesses, mental health advocate Daphne Tarango and nine inspirational writers tell how they've overturned the old grooves and false beliefs about their own mental illnesses. Groove offers encouragement and firsthand experiences from men and women who know what it’s like to have mental illness. You'll relate to their inspirational stories about relationships, coping skills, managing symptoms, career and home, life stages and milestones, even stories about their pets, the holidays, and much more. Groove includes 52 thought-provoking stories, one for each week of the year. Each entry ends with a series of questions so you can reflect and dig deeper grooves on the topic for that week. As you read Groove, you'll learn how to build new grooves using God’s word and how those new grooves can change your life, the way you feel about yourself, and the way you carry yourself. You can even read and work through the questions with a small group. Whether you're recently diagnosed with a mental illness or have struggled with mental illness for years, Groove can help you refresh the way you think and feel about your mental illness, all by believing and applying the Truth in God's word.